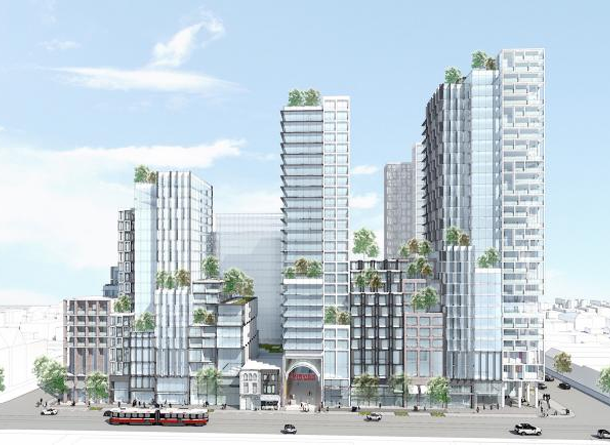 Plans for redeveloping Honest Ed’s continue to progress. While losing a landmark like Honest Ed’s will be painful, with its proximity to transit, parks, shops, schools and restaurants, the intersection of Bathurst and Bloor is just too valuable to have a discount store taking up so much real estate. According to the post, some members of the Design Review Panel “questioned the integrity of many of the historic buildings included, as well as the demolition of others. As well, “at a Toronto Preservation Board meeting in September, a recommendation was put forward to add 35 properties in the Bloor-Bathurst area to the Toronto Heritage Roster as listed heritage buildings.” This will be an important consideration because as the plan stands, some of those buildings would be torn down.